Spray pie mold with baking spray. Pour water in saucepan, sprinkle with gelatin. Allow gelatin to soak for a few minutes. Heat over very low heat until gelatin is dissolved, stirring constantly (approximately 5 minutes). Add the heavy cream and mix. Then add the sugar and cocoa powder. Once combined, stir in vodkas and the liqueur. Strain the mixture as you pour into molds. Refrigerate. Once firm, carefully remove from molds. If they are hard to remove, dip, (DO NOT submerge) into a pan of warm water. 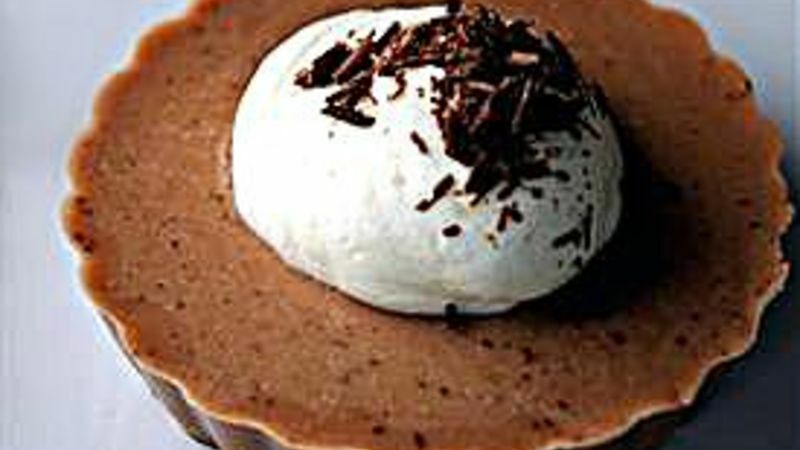 If desired, top with whipped cream and chocolate shavings.